101/EXHIBIT proudly presents Dynamic Pictorial Models, an exhibition featuring gallery artist Pedro Barbeito in collaboration with artists Lydia Dona, Fabian Marcaccio, and Franklin Evans. The opening will be held from 6-9pm on Saturday, March 12th at 8920 Melrose Ave, located on the corner of North Almont Drive, one block south of Santa Monica Blvd. A full-color catalog with essay entitled “New Models, Strange Tools” by New York-based poet and art critic Raphael Rubinstein will accompany the exhibition. The four artists in this exhibition live and work in New York City. They have noteworthy careers featuring extensive participation in international solo and group shows, have lengthy bibliographies, and their work is included in many private and public collections. Moreover, they are cohorts bonded by a sincere admiration for each other’s artistic practice. This is not simply a coincidence. Over the past two years, the four artists included in this show would regularly convene to discuss elements of innovation found not only in their own work, but also in the art world in general. The ambition was to isolate these elements for exhibition. As a group, these artists sought to actively collaborate in selecting who they exhibit with, who provides the writing, what works are shown, how the exhibition is hung, and where the exhibition takes place - all with the intention of defining the format of a larger, synergistic narrative. The whole (exhibition) is greater than the sum of its parts (artworks). 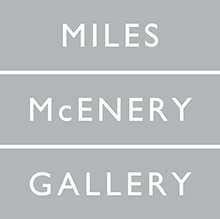 Featuring 1-3 pieces per artist depending on surface area/scale, each of the four artists’ work included will visually and contextually cross-inform each other in response to the gallery space. 101/EXHIBIT believes in the gallery’s role to facilitate art that proficiently moves beyond market- and trend-driven aesthetics, such as the prevalent de-skilled abstraction of the day. Here the viewer will be presented with an intricate installation of core “dynamic pictorial models”, which loosely defined is a piece of art that embraces conceptual and material complexity. “Strange tools”; implements extracted from their original context for the purposes of art making (see Rubinstein’s essay for a thorough account) are employed here. And there is an awareness and respect for historical precedent vs. superficial stylistic referencing. Engagement is sought through continuing or further articulating the ideas and painterly concerns of past generations through contemporary means. Further, painting itself remains instrumental to visual experience and in engaging with today’s culture, but DPMs are neither in full allegiance with painting, nor are they in stark opposition of it. There is a belief that painting should be amorphous, a ready-grow that expands beyond the confines of the frame and becomes sculpture or installation in favor of a greater experience. Content is inherent to the materials. Production technologies, scientific innovation, social media, and the Internet are natural products of our anthropological device and are readily embraced. This embrace is sincere, not ironic. In conclusion, Dynamic Pictorial Models reflects contemporary art practice as it moves after painting to arrive at today’s polymedia picture environment. It does not cease to be painting, but instead challenges the fundamentals to become non-statically mimetic, hyper-mediated, and fully engaged with self-reflective cultural criticality. Dynamic Pictorial Models absorbs the complexity and power of a fluid coexistent culture and attempts to expose its weight in pictorial, visual, and image language.